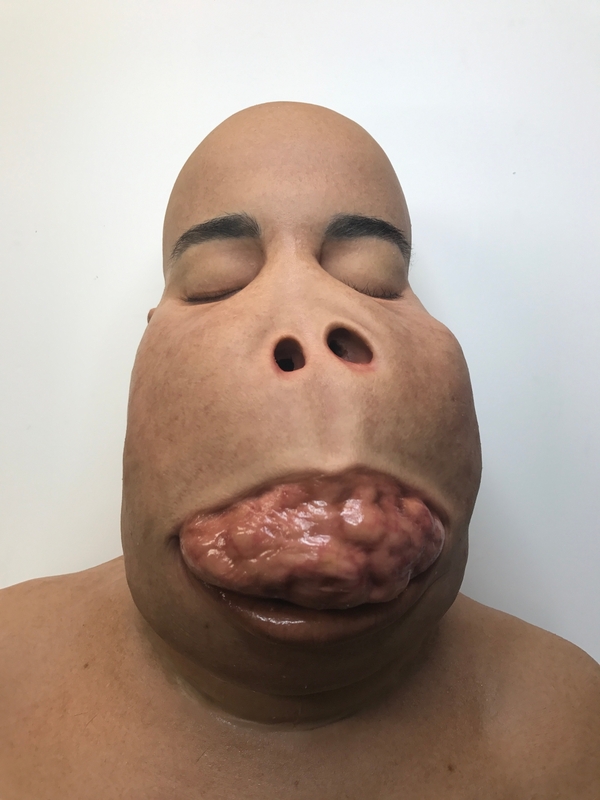 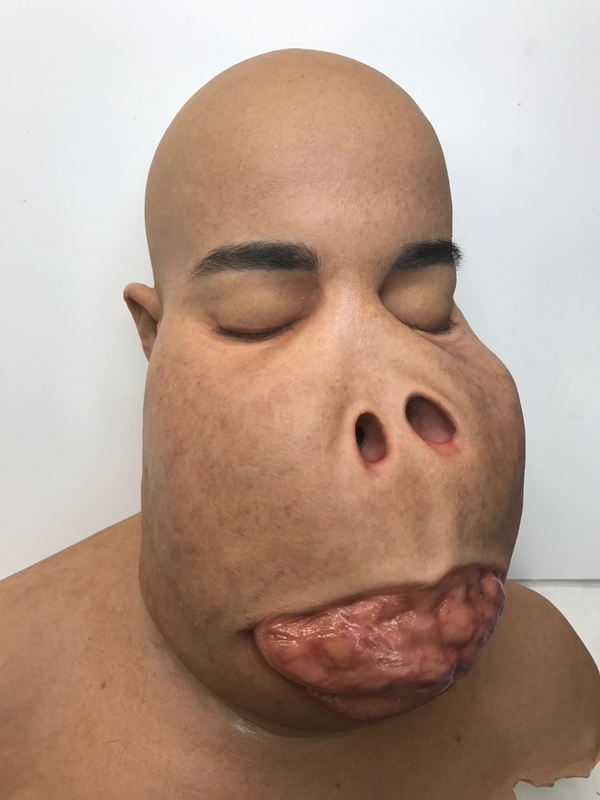 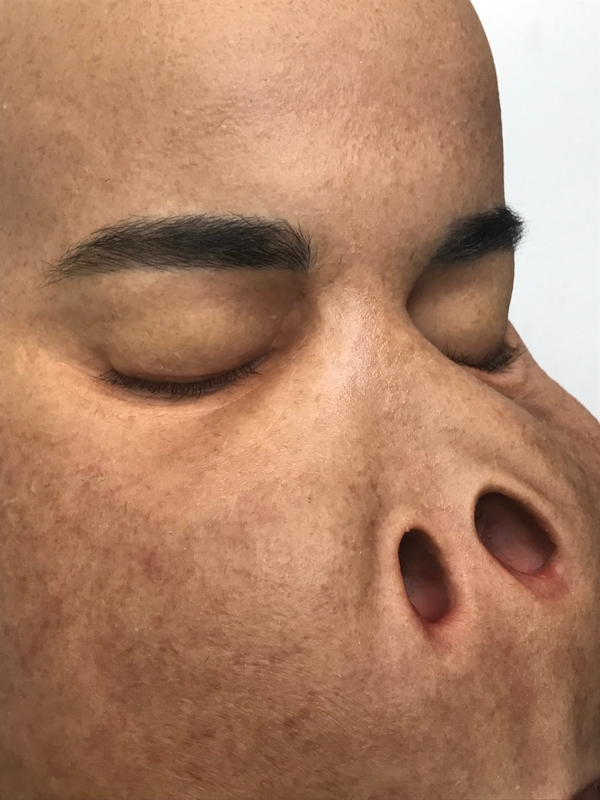 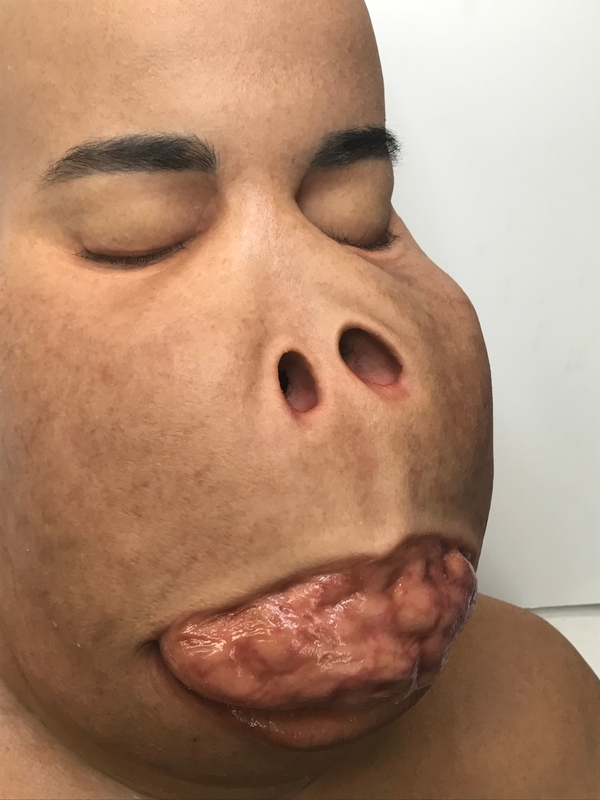 Silicone likeness head created for Scream Queens season 2. 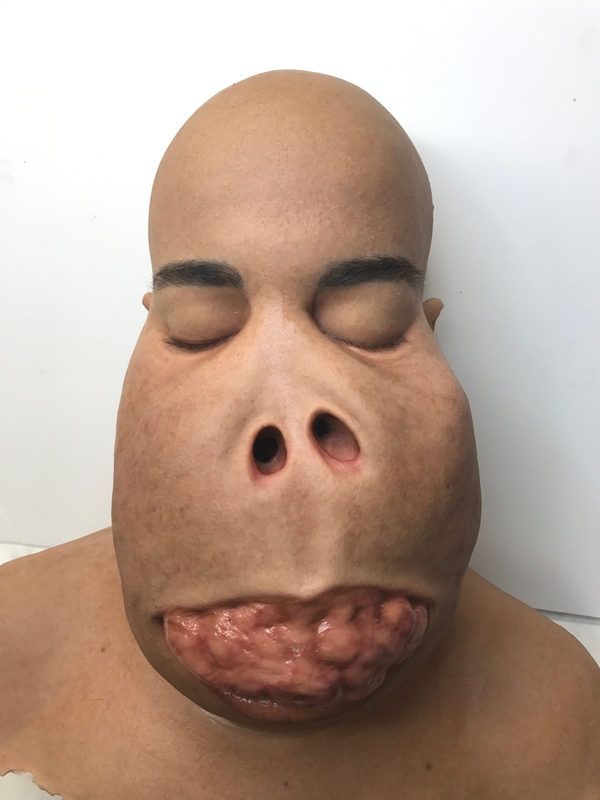 This is a head to match a prosthetic makeup created for the talent to depict his massive facial tumor. 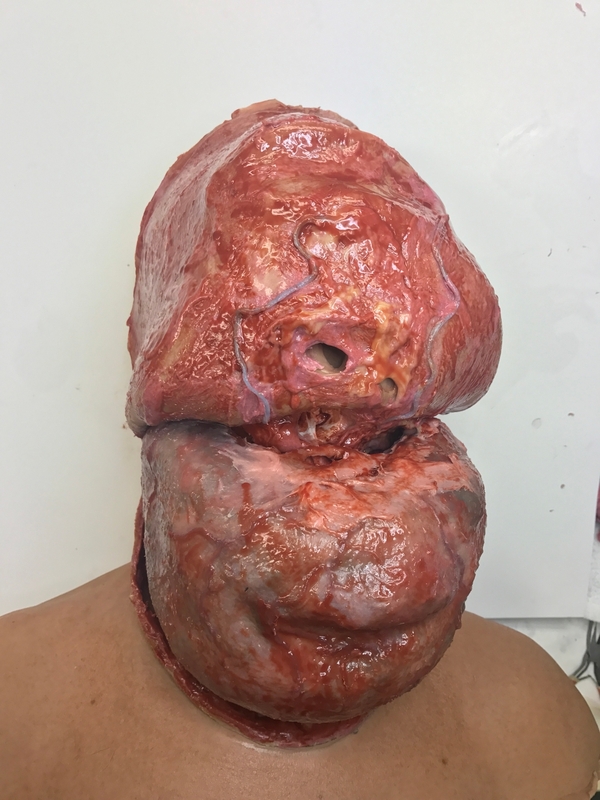 This head was created for the removal of this tumor. 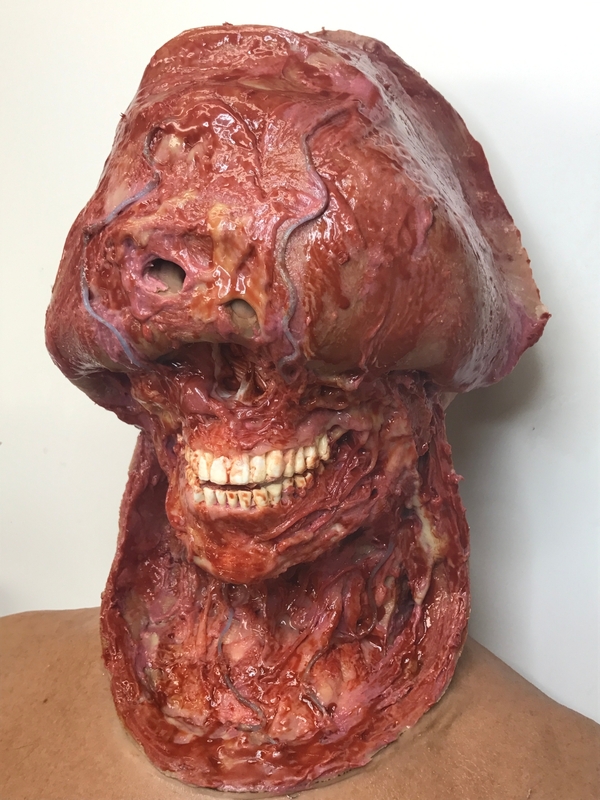 Photos are prior to the blood and fluids being added on the day- these are the pure fabricated elements.